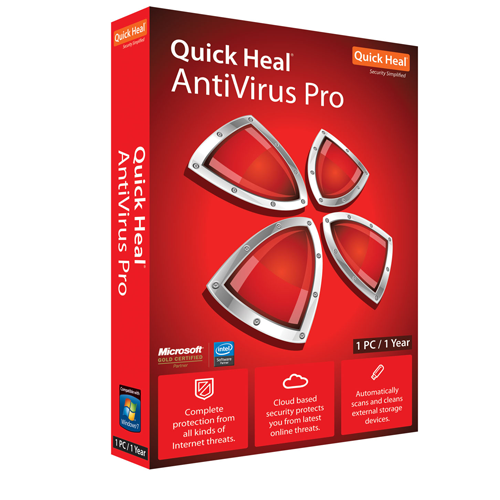 Effectively detects and resolves threats (viruses, worms and other malware) through AntiVirus, AntiSpyware, AntiMalware, AntiRootkit, Silent Firewall and IDS/IPS. Real time cloud security protection restricts access to malware infected websites. Prevents threats transferred through websites hosting malicious codes as you surf the internet. Running your web browser in Sandbox Browser gives you an uninterrupted and secure browsing experience. Acting like a screen between your PC's operating system and the malicious threats, it limits the attack surface. Cloud-based email security prevents, phishing and infected emails from reaching your Inbox. Suppresses prompts across all Quick Heal modules thereby reducing system load and allowing uninterrupted PC usage.